Steven McRae is replaced by Federico Bonelli as The Prince for the performance of The Nutcracker on 5 January 2018. Steven McRae is replaced by Benjamin Ella as Albrecht for performances of Giselle on 20 January and 5 February 2018. Full casting details have been updated and can be viewed on the production page. Get well soon Steven! Best wishes to Federico for tomorrow's performance and "Chookas" to Benjamin for his début performances as Albrecht. 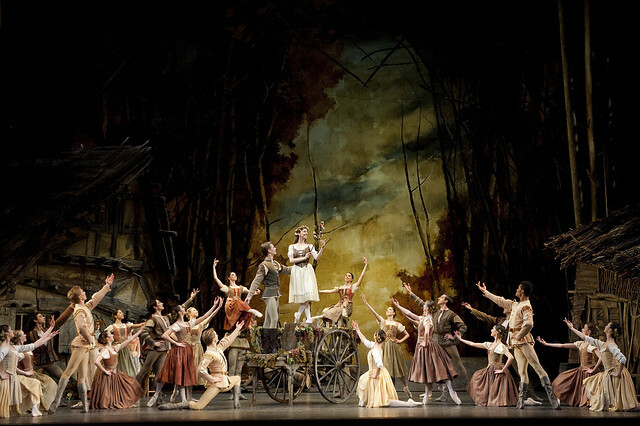 With Akane as his Giselle, it should be a very special and exciting two performances! We hope Steven heals well and we look forward to having him back soon. Please note that casting has not been updated as yet for 5th February. The casting for 5 February on the Productions page still shows McRae. Is Ella definitely dancing on that date? Benjamin Ella has always been interesting on stage. I want to see this at any price! Can I just check though - the 5th Feb is still showing McRae? Apologies for the confusion, the 5 February dates should have been updated at the same time as the announcement. This has now been changed. I very much echo ML's sentiments. The calendar is still showing Steven McRae dancing 5 February - I take it this has still to be updated? Apologies for the error. This has now been updated. Sorry not to see Stephen McRae tonight. He was greatly missed. Hope that he makes a speedy recovery and that he will soon be back on stage and his usual brilliant self! Fantastic debut by Benjamin as Albrecht tonight. He and Akane were wonderful together. Fabulous performance all 'round. Looking forward to seeing much more of Benjamin!! I flew from Italy to see Steven McRae. Best wishes for his recovery. To the next season. So Steven's injury dates from early January until March therefore must be serious. I intend to come over from Australia at end of this year especially to see Steven !! !